Heavy rain from a thunderstorm generated a flash flood yesterday at Six Flags Great Adventure in Jackson. 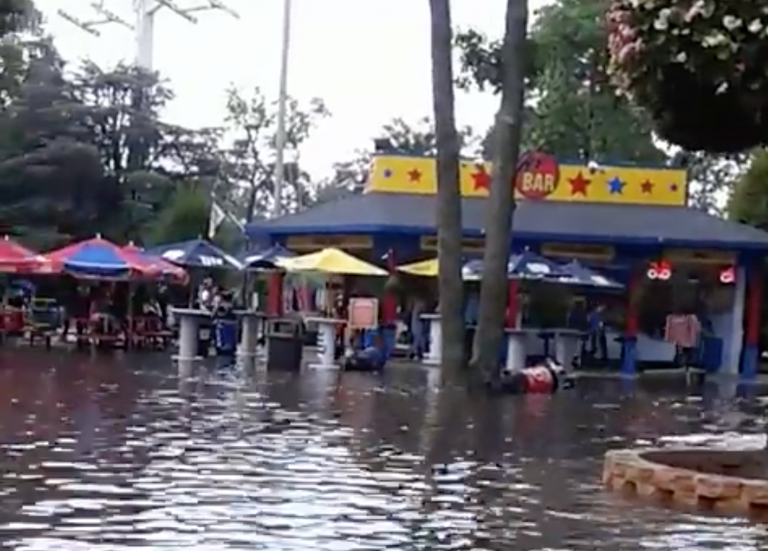 A video posted on Facebook by American Amusement Park Museum and Club, above, showed the flood. 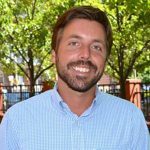 Park spokeswoman Kristin B. Siebeneicher said the temporary flooding was “due to extreme weather,” adding that the park experienced a heavy volume of rain in a short period of time. “There are parts of the park that gather more rain water given changes in elevation. Just like the gutters on your house in a heavy rain storm, the drains in those areas cannot always handle the volume at one time,” she said. Siebeneicher said the park remained open and rides became operational again after the weather threat subsided. “The safety of our guests and employee is our number one priority, and no one was injured,” she said.